Another moon has been discovered going around Neptune. And like so many astronomical discoveries before, it has been captured before, in this case, in photos between 2004-2009 (same with Neptune, which has been recorded by Galileo, but not truly been discovered until much later). Read all about it here. 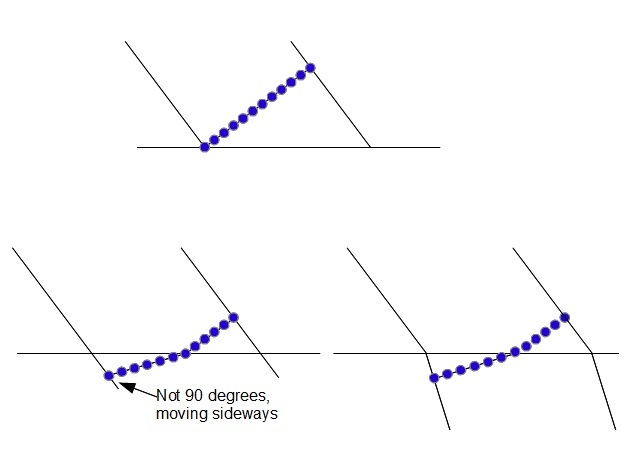 Before we go on, I have to mention that angle 1 in triangle BFC and angle 2 in triangle ADE are the angles given in Snell’s law. 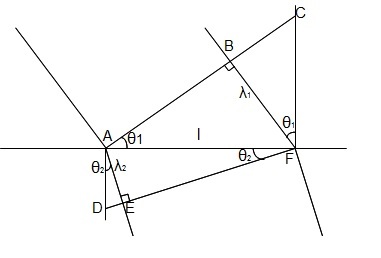 Then how do we know that angle 1 in ABC and angle 2 in AEF are the same respectively? ABF and BFC are similar triangles. So is AEF and ADE. The proof of that is not the subject for this post, so I might as well leave it as your homework assignment 😉 . Cool, the light bending its path due to the wave slowing down results in a path that is naturally the fastest possible route! 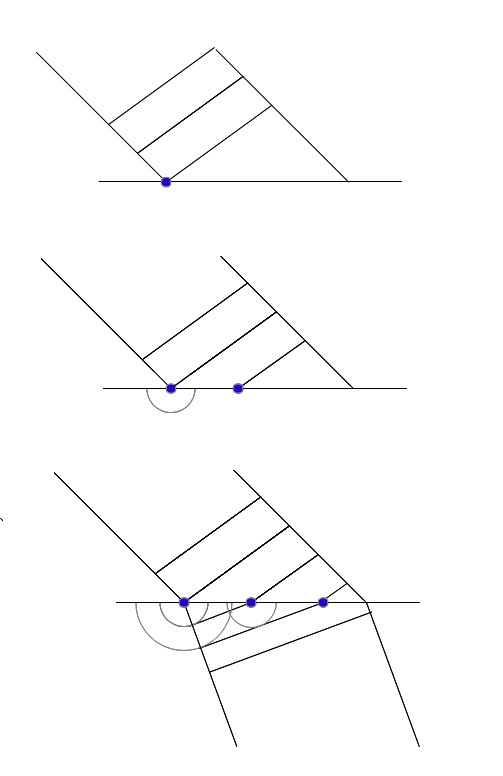 Interestingly, if you use the math of Snell’s law and imagine stacking infinitely thin layers of mediums, the ones next to each other being only infinitesimally different in their travel velocity, you can solve another interesting problem that involves the fastest route from top to bottom by gravity as we shall see in the next part of this series! And no, just letting go off the object so it falls straight down is not the answer (although it is A answer). You are currently browsing the IBY's Island Universe blog archives for July, 2013.